If you’re like me, you love trying new things, especially when those things involve hair and/or makeup (right!?). 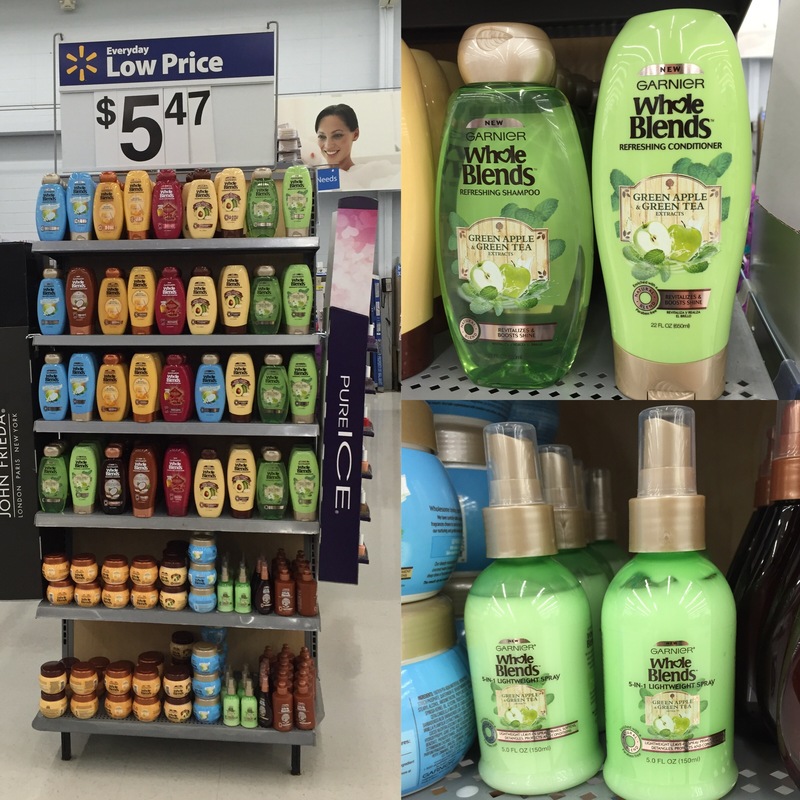 I recently reviewed the new Garnier Whole Blends Refreshing shampoo, conditioner and 5-in-1 lightweight spray. The formula contains the essence of green apple and green tea blended for naturally beautiful hair. Utah is a very dry place, which is why I love using products that nourish, hydrate, and repair my hair (another reason I was most excited to try the refreshing 5-in-1 lightweight spray.) And with the warmer months coming up, I wanted to get my hair in the best shape for the summer. The Garnier Whole Blends Refreshing system smells just like green apples (best flavor of apple if you ask me) and I love how I could smell the product in my hair all day long, even my husband noticed and couldn’t stop smelling my hair. I could also tell that my dull (way overdue for a haircut and color) hair was softer and shinier after my first use. I’m actually most excited about the 5-in-1 lightweight spray. It released the tangles in my hair easily and it is actually very lightweight so it didn’t weigh-down my already thick and coarse hair. I’m definitely adding it to my gym bag for refreshing my hair and smoothing those ponytail flyaway’s. I purchased these products from the beauty section at Walmart, look for the end cap display. The line consists of three products: shampoo, conditioner, and 5-in-1 lightweight spray. You’ll definitely want to get the right system for your haircare needs, make sure to check out the full collection of Garnier Whole Blends here. What is your favorite system from Garnier Whole Blends? 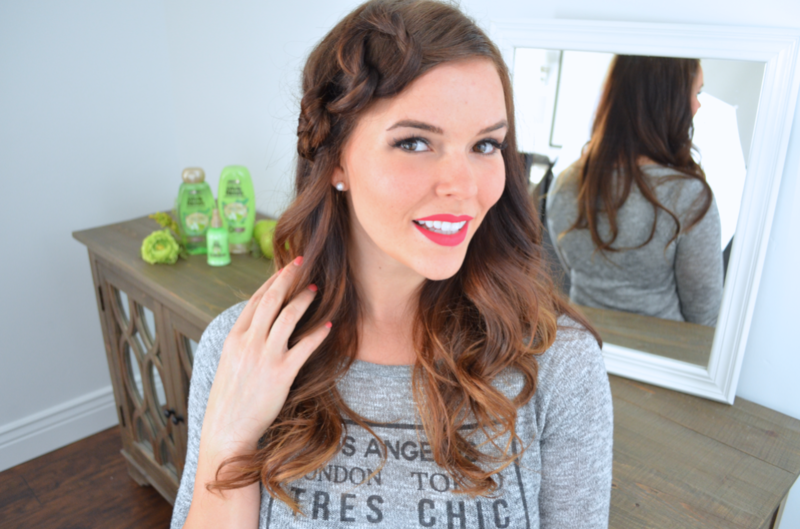 Would you like to see me do more hairstyle tutorials?